Digital Trends - Transforming Indian Weddings in Unique Ways! Wedding is an event that is truly full of joy and grandeur. The introduction of digital trends has really catapulted the grace up to a high extent. Such lavish indulgences are paving a wider way for this ever booming industry. Yes, invitations made in digital forms have really made it easy to send as well as receive announcements. Are you able to recall those days when write out wedding invitations was very much prevalent? Pretty stationary items were included with all sorts of trimmings for convenience. As a traditional method, it was common to pen down wedding invitations followed by mailing them to the correspondence address of the receiver. Well, with the dawning of the Internet era, the practice of sending messages electronically has emerged. It has proved to be a highly easy and quick way of sending invites to your honorable guests. People nowadays are very much familiar to social media like Facebook, WhatsApp and many more. People like to use the social platforms to chat in order to feel truly close to each other. These platforms are used to exchange videos and pictures along with GIFs for more creativity. 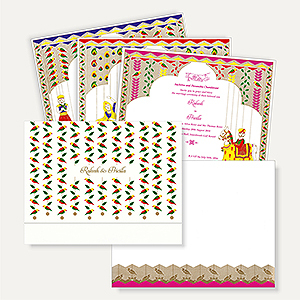 You may now easily send Indian Wedding Invitations in an electronic form to your guests. It is high time to go with paperless transactions as the development in media has made the world feel close to each other. Wedding videos along with e-cards are one of the most common forms of digital invitations that are taken into usage at present. Digital invitations are jazzed up emails that are mailed out in massive quantities to guests. All you need is to have a list of mail ids of invitees whom you desire to be invited to your party. People who are unaware of designing e-invites may take help of websites that deal with the compilation of e-cards as well as wedding invitation videos. You need to serve the data on the basis of which your invitation will be compiled. Prior sending you finally, a preview will be sent by the designers where you may request for any changes. After you receive your e-invite, you may forward the same to your guests either through email id, Facebook messenger or WhatsApp. Isn’t it a great idea? It will be better to send your invitation well in advance so that guests may easily provide RSVP as per convenience. On the basis of the RSVP received, you will be able to decide the total number of guests that will be attending your party. It will let you talk to your caterer regarding the total number of tables as well as plates to be arranged, hence letting you save well. The caterer requires knowing the exact number of plates to be arranged so that he may set them in a right manner. It will be beneficial for you as well as the caterer and prevent unnecessary wastage. In this digital age, having a website customized for your upcoming wedding event will also be a great idea. After furnishing the website with necessary details, it needs to be uploaded on to the World Wide Web in advance. Finally, the URL may be utilized to send it to your guests email ids so that they may have a look at it. This will prevent your guests from knocking at the wrong place. Hence, it can be easily figured out that advancement in digital trend in wedding invitations has really proved to be highly beneficial. Also, sending of e-invitations seems to be an enjoyable and easy to access matter. 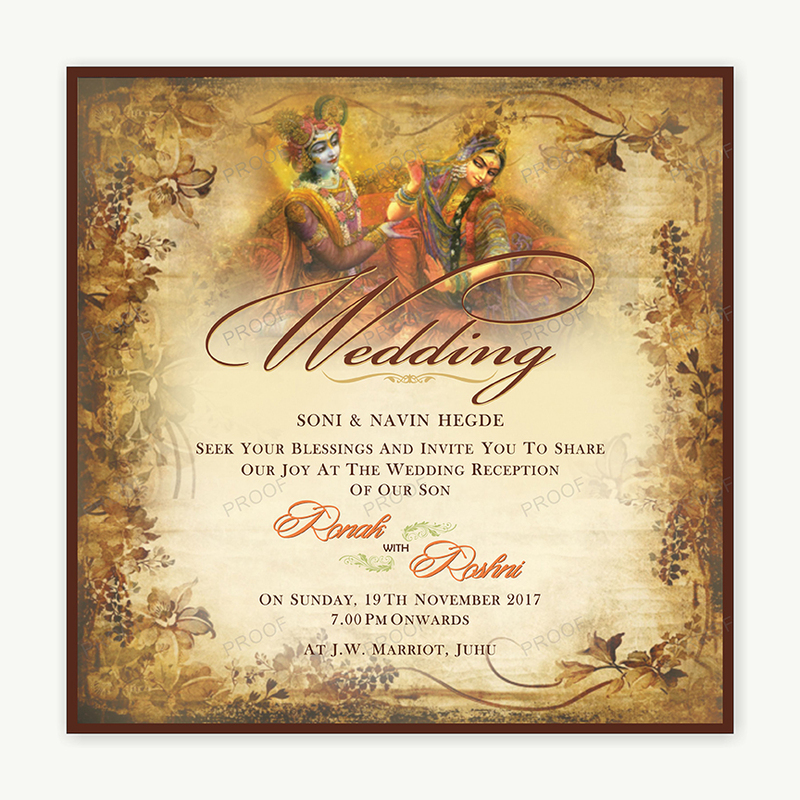 Digital wedding invitation is becoming the fabric of wedding in the forthcoming days. You may also include your creativity to enhance its glory!